On Tuesday, Jan. 22, the visiting Columbia Falls Wildkats defeated the Ronan Maidens 70-33 in Northwest A conference action. Jaylea Lunceford scored 16 points for the Maidens. Five Charlo Lady Vikings scored in double- digits on Friday evening in a 73-12 road win over the Two Eagle River Lady Eagles in Pablo. Carlee Fryberger, Kira McPhail, Kaitlin Cox and Connor Fryberger each had a game-high 12 points, and Liev Smith added 10 points. Destiny Manuel scored a gamehigh 11 points to pace the Lady Vikings in a 37-18 home win over the Noxon Lady Red Devils on Saturday. On the road Tuesday, Jan. 22, the Arlee Scarlets outscored the Hot Springs Lady Savage Heat 60-46. Scoring a game-high 27 points, Alyssia Vanderburg led the Scarlets followed by Nellie Desjarlais with 12 points and Noelle West with 11 points. On their home court Thursday, the Scarlets posted a 57-31 win over the Plains Trotters. Vanderburg paced all scorers with 21 points, and Desjarlais scored 12 points. Vanderburg recorded 23 points as Arlee picked up a 70-33 road win against the St. Regis Lady Tigers on Saturday. Louetta Conko-Camel added 12 points for the Scarlets. Friday evening, the Mission Lady Bulldogs fell 73-49 to the hosting Florence Lady Falcons. Azia Umphrey scored a Lady Bulldog team-high 14 points on Saturday in a 73-46 road loss to the Eureka Lady Lions. Lady Bulldog Addison Arlint tacked on an additional 10 points. On Friday, Liz Hill led the Two Eagle River Lady Eagles with six points in a 73-12 home loss to the Charlo Lady Vikings. Tarae Goodluck tossed in 11 points as the Lady Eagles fell on the road 68-14 to the Darby Lady Tigers on Saturday. The Columbia Falls Wildcats slipped past the visiting Ronan Chiefs 58-55 in overtime on Tuesday, Jan. 22. Jacob Gatch paced the Chiefs with 17 points followed by Dallas Durheim with 14 points. On Saturday, the Missoula Sentinel Spartans upended the visiting Chiefs 73-29. Terrell Stump scored a team-high seven points for the Chiefs. Landers Smith poured in a game-high 27 points to lead the Charlo Viking to a 79-40 14C District road win over Two Eagle River on Friday evening. Connor Koenig added 19 points and Nate Delaney chipped in another 11 points for the Vikings. In 14C district matchup on Saturday, the Vikings found themselves down 10-3 in the first quarter to the visiting Noxon Red Devils. The Vikings rebounded by outscoring Noxon in the remaining three quarters to take a 48-32 home win. For the Vikings, Koenig scored a game-high 18 points. Greg Whitesell lit up the scoreboard Tuesday, Jan. 22, with a game-high 30 points as the Arlee Warriors defeated the Hot Springs Savage Heat on the road 86-50. Warriors Isaac Fisher scored 16 points and Lane Johnson scored 10 points. On Thursday evening, the Warriors defeated the visiting Plains Horsemen 70-50. Whitesell paced the Warriors with a game-high 22 points, and Johnson chipped in with 10 points. Arlee blasted the St. Regis Tigers 91-43 on Saturday. Lane Johnson rifled in 26 points to spark the visiting Warriors. Also for the Warriors, Greg Whitesell had 21 points, Isaac Fisher scored 12 points and David Haynes chipped in 11 points. The Mission Bulldogs narrowly lost on Friday as they fell 70-68 to the Florence Falcons. On Saturday, Jedi Christy recorded a game-high 26 points as Mission picked up a 73-43 road win against the Eureka Lions. Jacob Hugs scored 12 points, and Wacey McClure added 10 points. Dom Finley scored a team-high 10 points as the Two Eagle River Eagles fell 79-40 to the visiting Charlo Vikings on Friday evening. On Saturday, the Eagles fell 83- 40 to the hosting Darby Tigers. Travis Pierre scored a team-high 14 points. 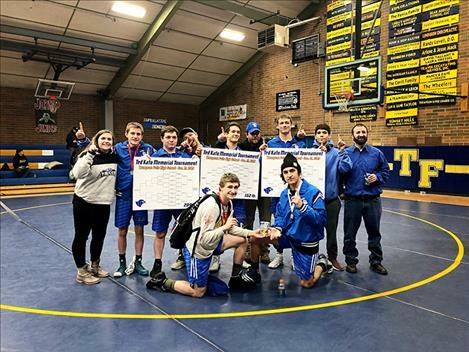 Mission-Charlo’s wrestlers scored three pins as the Bulldogs knocked off hosting Ronan Chiefs 46-22 during a dual wrestling match Saturday in Ronan. 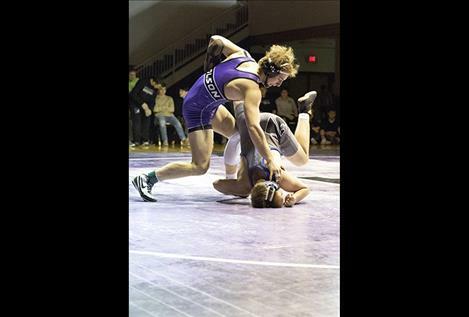 Darwin Adams (145), Troy Matt (170) and Isaiah Allik (182) all won their matches by fall for the Bulldogs. 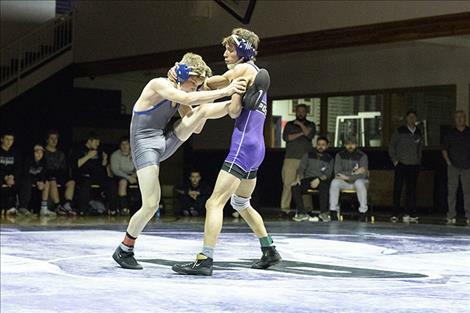 Cole Gilleard (132) and Isaac DuMontier (152) clinched Bulldog wins by major decision. 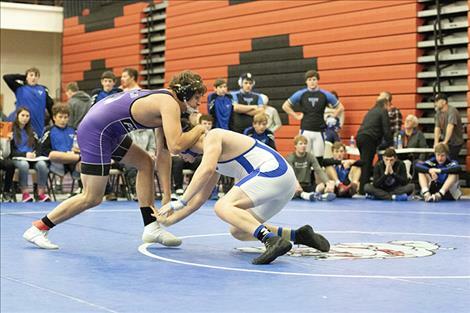 Isaiah Fields (120), Shayden Friedlander (138) and Kayden Carter (160) won by forfeit. 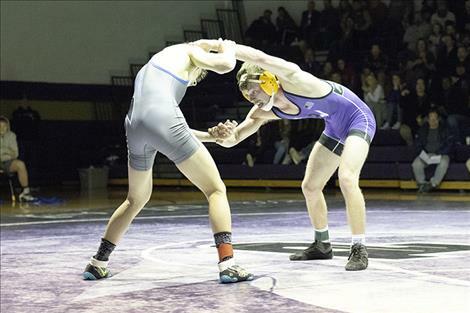 For the Chiefs, Trevor Bartel (103) won by a pin, Trapper McAllister (126) won by major decision. Justin Mays (205) and Persephone Sandoval (Hwt) won by a forfeit.